All our classes meet one time per week and children must be accompanied by a parent at every class. Classes are grouped by age. Age groups and class times are structured around the changing needs (skills, interests, naps, etc.) of the children at various stages of development. 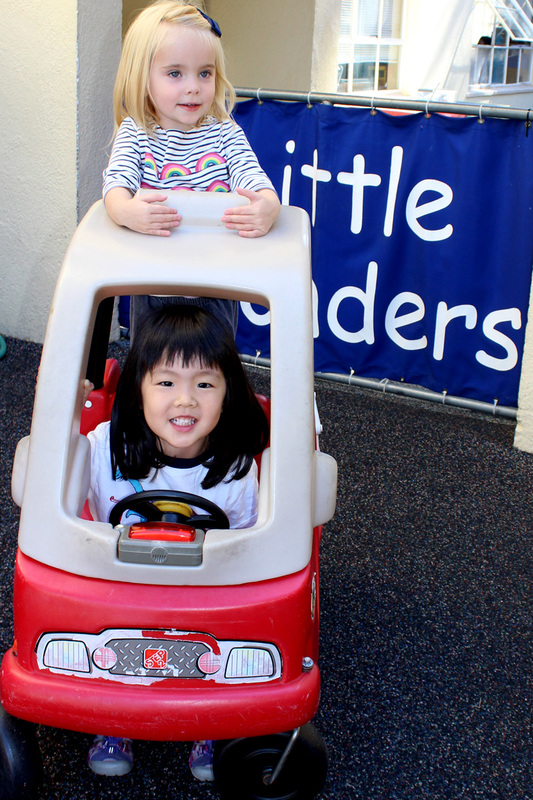 Children develop dramatically during these early years and we plan our classroom activities, as well as our parent discussion topics, to be age-appropriate and grow with your child. For more information, see our Frequently Asked Questions. Classes are grouped by age of child as of September 1 of the enrolling year, except where noted. These "AM Classes" meet once a week from 9-11 AM, and are offered on different days of the week (see schedules below). Snack time is included for all classes. These "PM Classes" meet once a week from 11:30 AM - 1:30 PM, and are offered on different days of the week (see schedules below). Lunch time is included. Offered Wednesdays from 5:30 - 7:30 PM. Dinner time is included. Offered Tuesdays from 12:30 - 2:00 PM. This is a 90-minute class and meets 12 times per session. Find your child's class based on birthday ranges below. Classes begin the week of June 11 and end the week of July 30 (no class July 2-6). Find your child's class based on birthday ranges below. Classes begin in September and run through May. AM, PM & Wedesday Evening classes meet 30 times between September and May. Informal circle time including singing, movement, and stories. Snack / meal time for the whole class. Free play time for the children at all stations, with half the parents watching designated station areas each week. Facilitated discussion time for the other half of the parents. This class is offered twice in the school year, during Fall and Spring. There are 12 meetings each semester. Each semester requires a separate registration. Class format includes playtime and informal discussion with parents and children together. There are no co-op requirements for this class. Meets 6 times a year at the home of a participant. Alumni Class format includes an informal gathering for the first 30 minutes, followed by a facilitated discussion on age appropriate topics, requested and selected by the class participants. Class meets monthly on the first Tuesday of October, November, December, February, March, and April.